Each month we highlight one of our regular makers, to give you an insight into their work, and to direct you to more information about them. Joanne Gowan has been a full time designer jeweller for over 30 years after studying for a Jewellery BA degree at Central School of Art and Design. 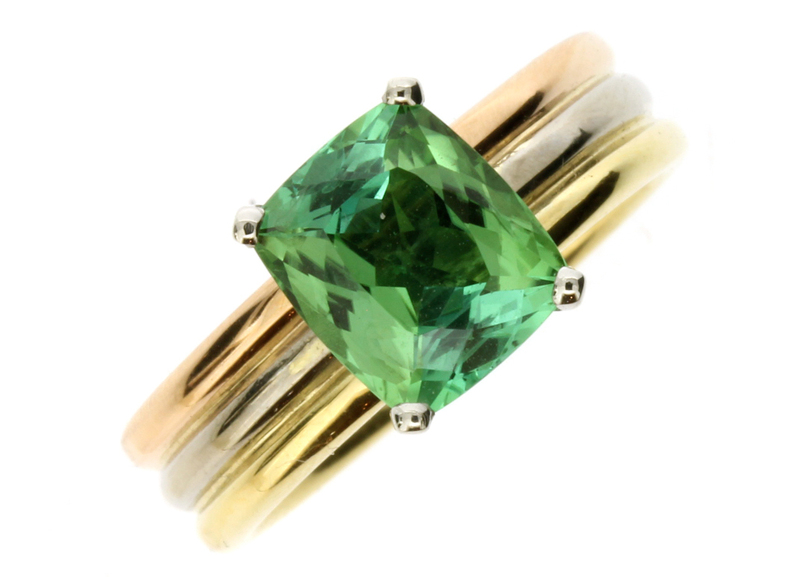 Joanne designs and hand makes fine precious jewellery with most of her work being one-off designs and bespoke pieces in precious materials – 18ct gold, platinum, palladium, silver and a wide variety of gemstones, including rare items and unusual cuts. The style of work is often distinctly organic with twisting and dramatic shapes as well as many timeless and classic items. 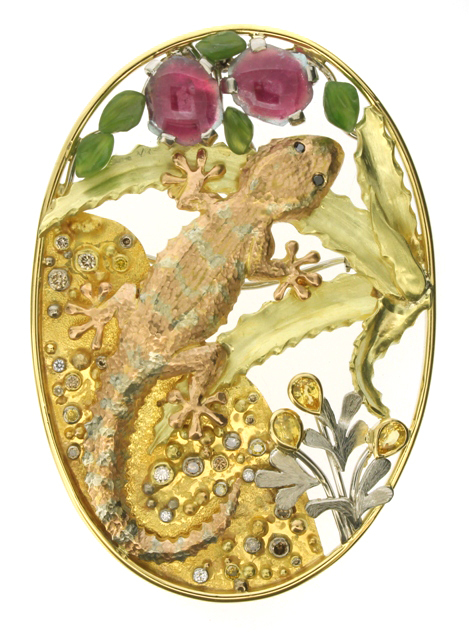 Joanne prefers to make entirely by hand, with traditional techniques such as forging, piercing, repousse and hand-built stone mounts. 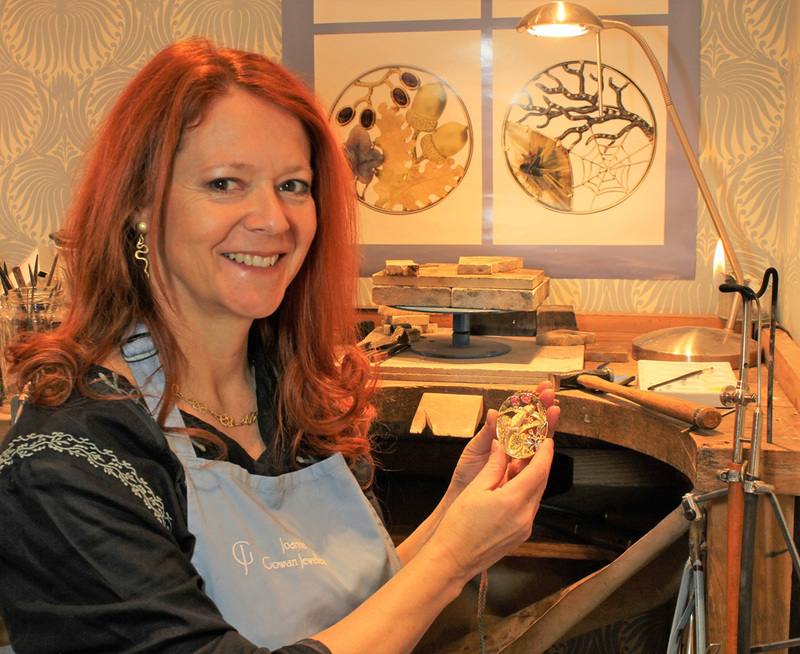 Joanne has her workshop within her own retail premises, Gowan Jewellers which she opened in 1988 in the picturesque small town of Sawbridgeworth on the Hertfordshire/Essex border. 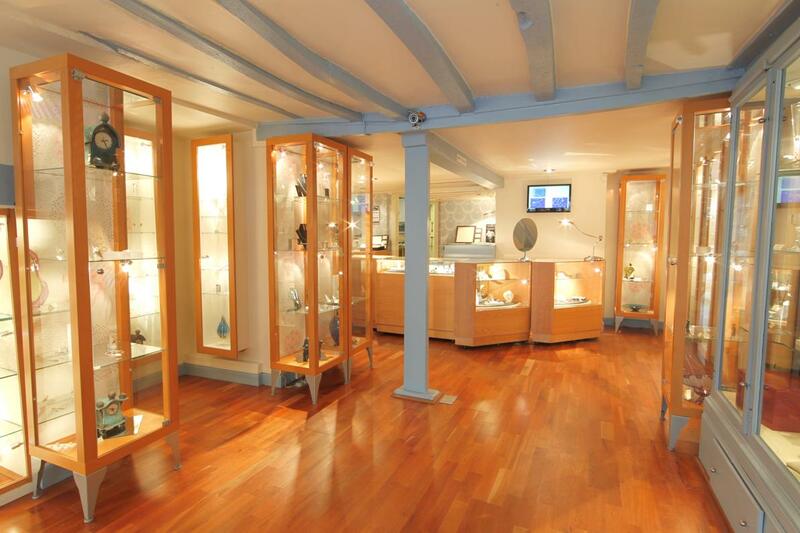 It is a 17th century building with a long history as a jewellers. There are modern display cases, a consultation area for clients to discuss their requirements and the workbenches are open to view so pieces can be seen under construction. Recently Joanne has developed a range of representational themes which often stem from her love of sketching and watercolours during her time away from the workbench. These ‘vignette’ items are rather like framed artworks that focus on one moment, giving insight into a particular subject. Designs are influenced by her love of nature, landscape, history, archaeology, ballet and classical music. 2018 is the 30th anniversary of Joanne opening her workshop and retail premises. To celebrate Joanne is completing a very unique project called the Annual Circle. This will be a set of 12 individual picture pieces which can be worn as brooches or pendants, representing Joanne’s own vision of every month of the year. Each piece will be a circle in itself, 4.5cm in diameter, a fine art work produced in precious metals and gemstones with the highest quality craftsmanship. The pieces will acknowledge the changing of the seasons with the borders changing from white metal in spring, to yellow gold for summer, red gold for autumn and finally black rhodium plated borders for winter. The elements within each month’s circle will be based on the flowers, foliage and landscapes that speak to Joanne of that month. Each piece will be completely unique and never to be repeated. In addition clients can order their own bespoke month with the elements that are important to their own lives. The set will be presented in a bespoke set of twelve handmade wooden boxes which sit together as a circle, each box will have a wood veneer to correspond to the season of the piece within, as well as Joanne’s favourite star constellation in the sky that month, picked out in inlaid mother of pearl. Inside the boxes will be alternative chains and cords for wearing as pendants. The final set of 12 will be available to purchase for around £75,000 by sealed bids. However clients can order their own individual months to be designed and made to order from £3,000 each depending on materials and elements included. Joanne will be exhibiting at Winchester Guildhall in November.